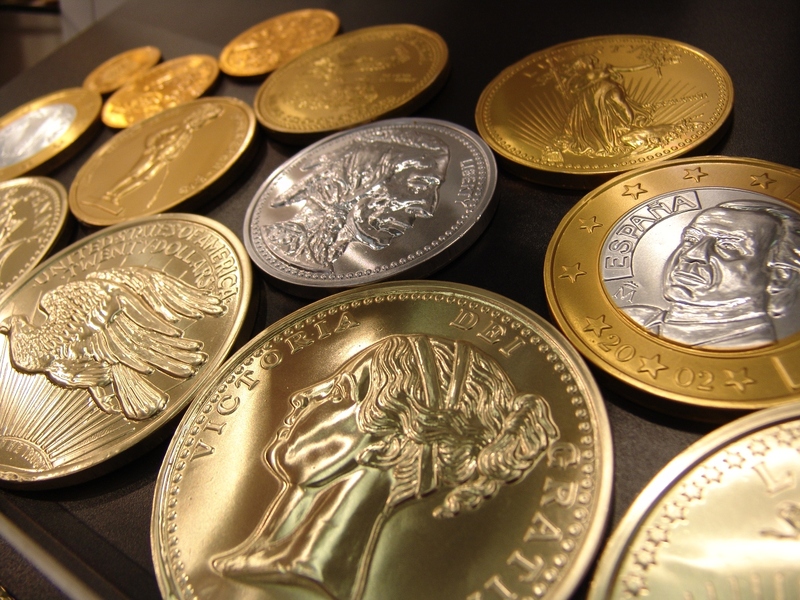 Are you interested in enjoying coin collecting as a hobby? If you are, you are definitely not alone. One of the many reasons why coin collecting is a popular hobby is because it is relatively easy to do. With that in mind, if you are looking to develop a coin collection that makes you proud or a coin collection that can later be sold for a profit, there are a number of important points that you will want to take into consideration. Perhaps, the most important step in creating a coin collection that you can later sell for profits or a coin collection that you can be proud of involves research. In fact, you will want to research, research, and then research some more. Some of the most successful coin collectors in the world are those who have taken the time to research and examine coin collecting as a whole. Topics, concerning coin collecting, that you will want to examine include the history of coin collecting, the types of coins that can be collected, coin values, recommended coin collecting supplies and much more. Beginners may want to start out collecting as many coins as possible. You may want to save all coins that come your way until you are able to further examine them. This is a great approach for beginners, as many are unaware of what they have, especially if coin values and conditions were first not examined. When taking this approach, it won't be long before a large collection of coins has developed, possibly too many. At this point in time, coin collectors are encouraged to examine their collection and separate the valuable coins from the not so valuable ones. From there on out, after some experience has been generated, it is often a wise idea for coin collectors to change their coin collecting habits. Once a coin collection has been developed and that first set of coins and been examined and sorted, it is important to take storage into consideration. Unfortunately, many new coin collectors make mistakes concerning storage. Many simply toss their coins into a jar or a box. These two approaches will definitely store coins, but they may result in damage. If you have rare, older, or limited edition coins that may increase in value later on, proper care is important. Generally speaking, coin holders are not advised, especially for long-term storage, but they are great for displays. For long-term storage of a coin collection, coin folders and coin albums should be examined. Knowing before you buy is another important component of developing a coin collection that you can be proud of or one that can later be sold for a profit. Many coin collectors, possibly just like you, are in search of rare or valuable coins and the best way to find these coins is through purchases. Most professional coin dealers have an accurate view and understanding of how much their coins are worth. This means that you generally do not have to worry about being scammed, but it is still wise to first examine coin values, conditions, and to use your best judgment. Always research a coin that costs more than $20. In addition to coin dealers, many coin collectors looking to expand their collections turn to the internet, namely online auction websites. This is a great approach for beginners, as it is easy. What you may find may surprise you. Many former coin collectors sell their whole collections online. As previously stated, when buying coins it is important to use caution. Many individuals who sell coins through online auction websites, as opposed to through a dealer, do not know the full value of their coins. This often results in over estimating the average worth or value of a coin. Without having the proper knowledge, this can result in overpayment. The above mentioned tips are just a few of the many tips that new coin collectors will want to take into consideration. Should you later decide that coin collecting isn't right for you, use your best judgment with the coins that you have acquired. Before simply giving away your coins or actually using them, take a close look at your collection, your coins, and their values. Is there anything that you can sell for a profit, even just a small one?